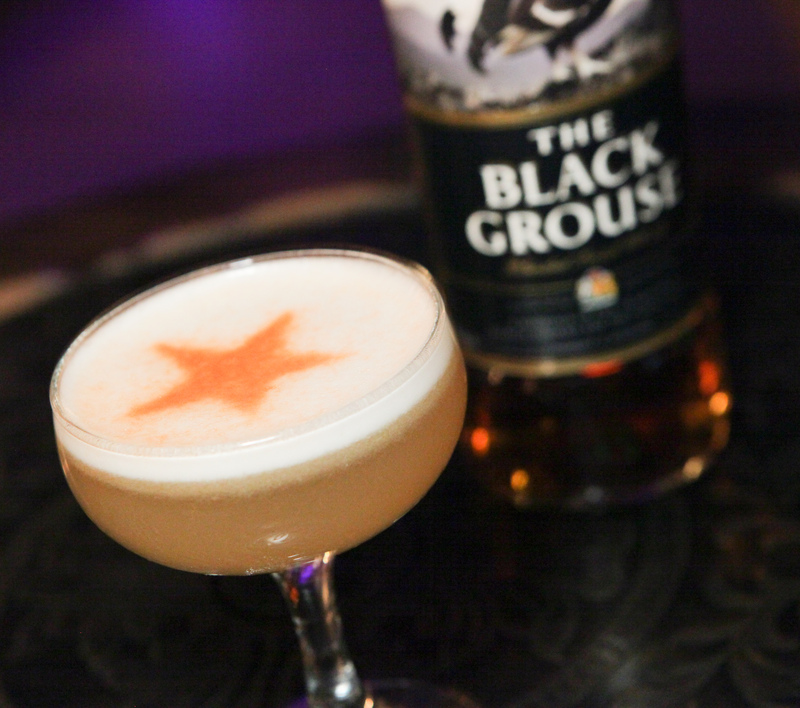 The name says it all in the Heebie Jeebies, created by Zachary Henry of Next Door Lounge in LA, combines the smoky flavors of The Black Grouse with Velvet Falernum, egg white and a Yellow Chartreuse rinse to create a bone chilling mix. Dry shake first five ingredients together, then shake with ice and strain into a Yellow Chartreuse rinsed-coupette glass. Garnish with an Angostura Bitters “branded” star.